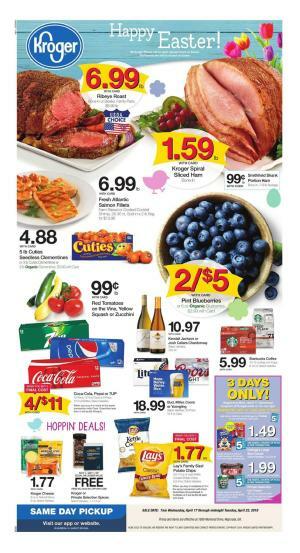 Kroger Weekly Ad Apr 17 – 23 is currently viewable. Browse the ad, read reviews and posts about deals. Kroger is organising famous Kroger ad fall beauty event again this year. This event will continue for 2 weeks and believe me there are huge discounts and offers that you can not find anywhere else. A special ad has been published for this event and also you can see some items on Kroger weekly ad. Also there are special coupons available. There is 20% OFF on colour cosmetics. 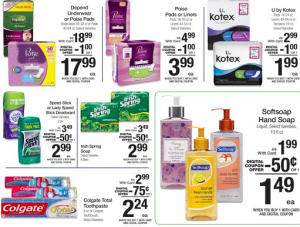 Get several beauty products before the promotion expires. These are some of the products of this week's Kroger ad. If you are close to a Kroger store, you can step by after work or at the weekend to get this discount products before they become out of stock. Or if there is no Kroger store near to you, you can also shop online from the Kroger website. You can download Kroger digital coupons to your shopper's card. 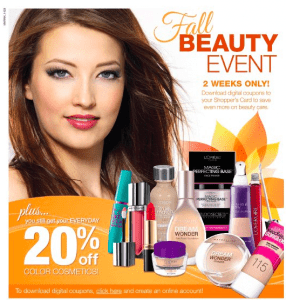 Don't forget to do your grocery shopping plus to Kroger ad fall beauty event products. There are great offers on groceries and household needs. Getting high quality food will comfort you indeed. Welcome to Kroger Michigan ad preview of this week. There are nearly 50 Kroger stores in Michigan. So i'm sure you have a favourite Kroger store next to you. Today i'm gonna give you some advice what to buy and what to eat from the weekly ad. 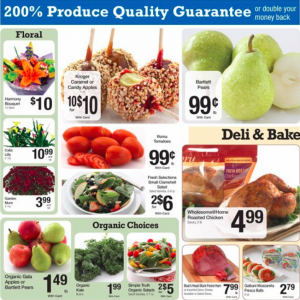 FOLLOW KROGER MICHIGAN AD PREVIEW AND EAT HEALTHY! Eating clean and healthy will make you feel better and stronger. If you wake up tired in the mornings or feel exhausted at the end of the day, probably you are eating junk food. Other than daily exercise, paying attention to what we eat is surely necessary. This week Kroger Michigan is offering many healthy snacks. Let's take a look at some of them. Red Raspberries 99¢ with card. Michigan Leaf Lettuce 99¢ with card. Yoplait or Dannon Yogurt 10 FOR $5 with card. Healthy snacks are mostly fruits, milk, yogurt,low fat cheese etc. You can prepare yourself a light dinner when you return from work. For example a salad with some cheese, lettuce, tomatoes and cucumbers. Of course don't forget to add some meat as protein. Please explore Kroger Michigan ad preview to find out more healthy snacks. Also having some fresh juice is good for you in the mornings. Don't use sugar included products. Have a nice and healthy weekend! School season is about to open. Every student needs to prepare for school and buy some needs. If you are a student or you have school children, take a look at Kroger weekly ad school products. There are pretty cool promotions and discounts on essentials. These items are available from September 10 to September 16. 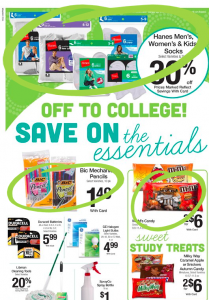 Kroger Weekly Ad School Products Must Haves! Good news! There is 30% off on men's women's and kids' socks this week. If you have Krogers savings card, you can use this promotion. You will obviously need pencils for school year. Kroger offers a good deal on pencils. Consuming healthy drinks is important. You can bring your own drinks to school by getting this cup. How about some snacks? Being adult or child doesn't matter, everybody likes m&m's candies. This week m&m's deal is pretty cool at Kroger. And check out the other snacks. You can reward yourself with these after a long school day. There is a cool rug for your room, don't miss that also. For more Kroger ad school products, take a look at the last page of the ad.